World Heritage Tourism covers heritage hotels, heritage holidays and heritage travel. We select destination from the UNESCO World Heritage List that meet TravelersInsights criteria for World Heritage Tourism designation. We FOCUS on tourism destinations that are UNESCO Heritage Sites and are also exciting and rewarding places to visit for an adventure holiday for families, singles and couples. 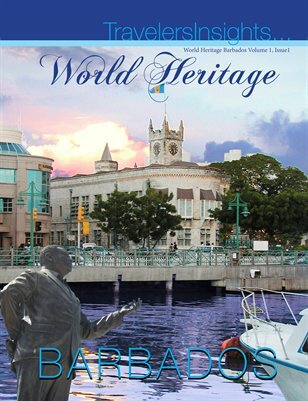 This issue features Barbados Tourism Encyclopedia. The fascinating story of the lifestyles of the Barbados sea turtles is covered in detail!